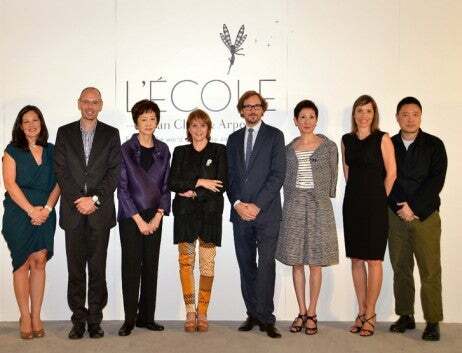 L’ÉCOLE Van Cleef & Arpels, the Paris-based school aiming at shedding light on the very secretive world of Jewelry and Watchmaking, opens its doors for the first time in Hong Kong from 16 October – 1 November, 2014. The two-week program offers a unique opportunity to discover the hidden world of Jewelry and Watchmaking for those who are passionate and curious about this field, and who would like to raise their level of cultural awareness and to become termed in French, an amateur éclairé, an enlightened amateur. Ever since its foundation in 1906, Van Cleef & Arpels has embodied the brilliance of High Jewelry savoir-faire. Inspired by constant inventiveness, the Maison’s excellence has given birth to timeless creations and exceptional techniques like the Mystery Setting™, Zip necklaces and Poetic Complications™ timepieces. In 2012, Van Cleef & Arpels opened L’ÉCOLE Van Cleef & Arpels to initiate the general public into the historical and cultural aspects of Jewelry and Watchmaking. A school unlike any other, it offers a non-technical curriculum designed to appeal to all: lovers of beauty, enlightened connoisseurs and professionals. Its ambition is to encourage the intellectual and emotional understanding of these universes and to convey the craftsmanship through personal experience. 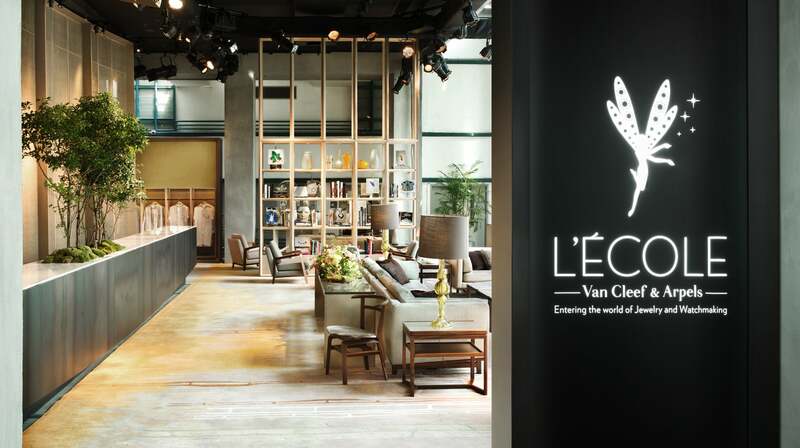 Taking up residence in PMQ, the latest creative and design hub in Hong Kong, the courses of L’ÉCOLE Van Cleef & Arpels in Hong Kong will take place at The Qube, a 6,000 square feet ‘glass box’ at the center of PMQ. The school is designed and decorated specifically for Hong Kong by interior designer Mr. Johnny Li. 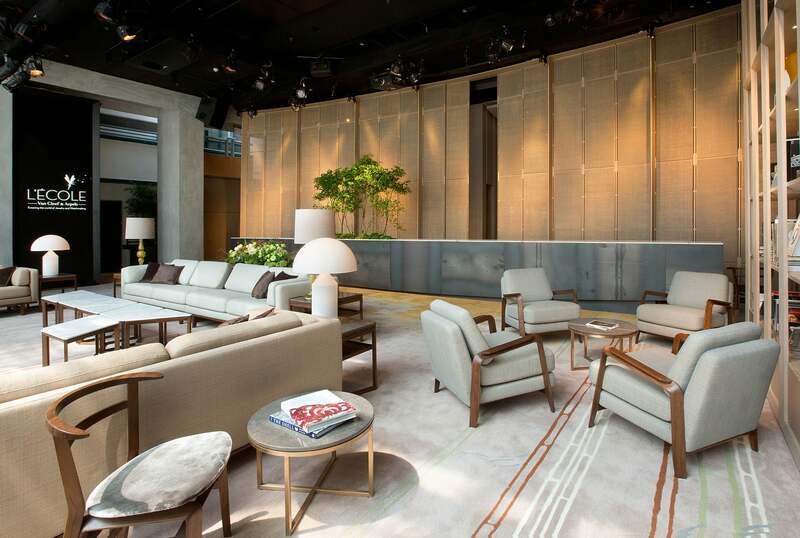 Upon entering the School, guests will be welcomed by an elegantly designed lounge and reception, as well as a library with a collection of prestigious books about the art of High Jewelry and Watches. Once they pass through the 150-meter long corridor, they arrive at the five classrooms, all of which are designed according to the respective topics of the courses. L’ÉCOLE Van Cleef & Arpels in Hong Kong offers a selection of 10 courses across three unique sessions: History of Art, The Universe of Gemstones and Savoir-Faire. From the origins to the present, History of Art module students will discover the major aesthetic sources and the symbols which are part of the wonderful world of Jewelry. Thanks to the Universe of Gemstones courses, students will plunge to the heart of the earth to discover the origin and evolution of its treasures: the gemstones. They will learn how to distinguish precious stones and how to manipulate them. The Savoir-Faire courses will virtually transport students to the workshops of Van Cleef & Arpels, to explore, admire and experience the craftsmanship behind High Jewelry and Watchmaking creations. Each session is limited to a maximum of twelve students; the tailor-made classes enable each student to listen and watch; to exchange views and dive into the subject; to have a hands-on experience trying out the crafts of the métiers in the workshops. Each session lasts for three to four hours and is taught by a professor, assisted by one or several experts according to the subject matter with the presence of Mandarin or Cantonese interpreters on site. At the end of each session, each student will receive a certificate, signed by Ms. Marie Vallanet-Delhom, President of L’ÉCOLE Van Cleef & Arpels, attesting to the student’s successful completion of the course. Marie Vallanet-Delhom is the first President of L’ÉCOLE Van Cleef & Arpels. Her professional experience has been dedicated to the passing on of expertise and to High Jewelry. After a Master’s degree in Literature, Marie Vallanet-Delhom began her career as a teacher. In 1986 her professional path takes a crucial turn: she joins the Richemont group and its jewelry Maisons, most recently with Van Cleef & Arpels. For 28 years, Marie has been sharing and conveying her passion and extensive knowledge of jewelry with clients and colleagues. Her expertise and personal qualities are the perfect assets to lead the Maison’s new creative and historical challenge: in February 2012, this passionate lover of music and literature becomes President of L’ÉCOLE Van Cleef & Arpels. Ms. Nansun Shi, Founder and Executive Director of Film Workshop Co. Ltd. 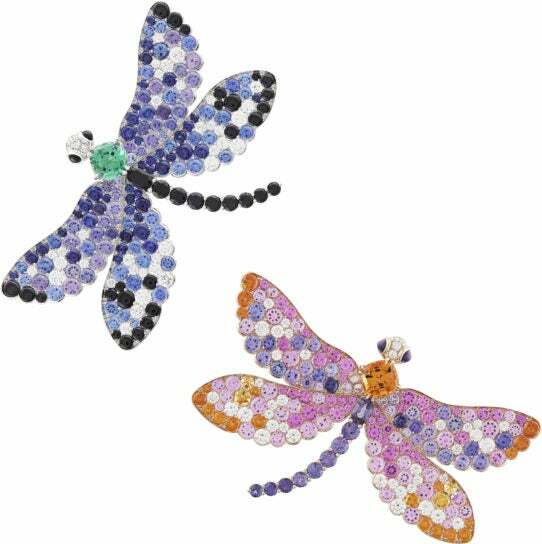 In the spirit of sharing and transmission, L’ÉCOLE Van Cleef & Arpels in Hong Kong reaches out to inspire children by offering Children’s Day workshops on two consecutive Sundays, providing ample opportunities for children to unleash their creativity as they are encouraged to try their hands at designing their own accessories. The School also offers a regularly scheduled program of Evening Conversations on designated topics such as Mystery Setting and Bamboo Scaffolding, Jewelry Design and Calligraphy, Diamond and Jade for in depth exploration of themes which are linked to the world of jewelry. These evenings serve as a great platform for students to learn from and share with two experts on the subject of the evening.